Heat the coconut oil in a saucepan over medium heat. Cook and stir the onion, celery, and carrots in the hot oil until tender, about 7 minutes. Rinse and add the quinoa, chicken broth, Italian seasoning, and sage. Bring to a boil over high heat; reduce heat to medium-low, cover, and simmer until the liquid has been absorbed and the quinoa is tender, about 20 minutes. Stir in the chicken meat; season with salt and pepper. I remember one of my anatomy teachers telling me that not too many years ago, in the anatomy labs, they used to pull and strip and scrape away as much fascia at they could to get to the bones, muscles, ligaments and tendons – the “real” stuff of the body. Now, thanks goodness, fascia is getting the attention it deserves in anatomy labs, rehab clinics and yoga and pilates studios. 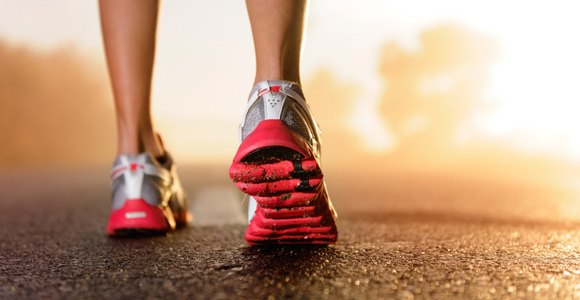 Now we know that we can make real and lasting changes in our body by addressing our fascia. If you want to know how to do this, then swing by one of our classes at Balanced Motion and click here to read more about fascia. Some of you might be wondering why I would be writing about hanging out in a Jean Store and what in the world does “hanging out in the Gap” have to do with yoga and pilates. The gap that I am talking about is a transition that we are in right now in March and as we move in to April. It is the time that some of our winter activities have ended or are ending over the next couple of weeks ( skiing, snowmobiling, icefishing, snowshoeing, hockey…..) and new activities will be starting soon. Each time this transition happens, we have an opportunity to pause and reflect. There can be a quietness in this transition, an opportunity to do a little less, to simplify if you will. It is similar to the natural pause that happens between our inhalation and our exhalation and our exhalation to our inhalation. During both of these transitions the body isn’t inhaling and it isn’t exhaling…it is pausing. However, if we don’t notice this natural pause ( this Gap) sometimes we miss it and we miss the opportunity for calm in our bodies and in our lives. I know we are not quite there yet, but as the snow melts, notice that time when you don’t have to either shovel the driveway or cut the grass and how this creates space in our lives. It is the time just before the frenzy of spring clean up in the house and in our yards. So enjoy this special time “hanging out in the Gap” even if it is only for a short while. Cook couscous as directed on package. Season chicken with 1/4 teaspoon salt and 1/4 teaspoon pepper. In a nonstick skillet, heat oil over medium heat. Cook chicken, turning once, 2 minutes per side. Transfer chicken to a plate. Cook onion in same skillet, stirring occasionally, 5 minutes. Add garlic and tomato paste; cook, stirring, 1 minute more. Add tomatoes, cumin and cinnamon; cook, stirring, 2 minutes more. Return chicken to skillet; add chickpeas, broth, zucchini, remaining 1/2 teaspoon salt and remaining 1/4 teaspoon pepper. Simmer, covered, until chicken is cooked through, about 10 minutes. 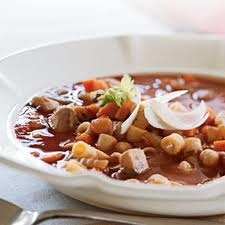 Serve stew with couscous. Garnish with cilantro. Happy Friday 🙂 This week’s friday education is about “The Biggest Mistake People Make When It Comes To Weight Loss”. Click here to view. If you enjoy reading MindBodyGreen articles, click here to see more! As I encourage my clients in the Balanced Weight Loss Program to step out of their culinary comfort zone to try new foods, I have been trying to do the same. I had seen boxes of fresh Tamarinds at one of our local grocery stores (Food Basics, in the refrigerated fruit area) and although I had used Tamarind paste in Asian recipes previously, I had never seen or tried the fresh fruit. Tamarinds, otherwise known as “Indian dates”, have been cultivated in many tropical and subtropical locations around the world. They feature in the cuisines of the Indian subcontinent, South East Asia and South America, particularly in Mexico for a sweet-sour tang. Needless to say they aren’t exactly a “local” fruit. The fruit is often called a pod and is an odd looking “fresh” fruit in that the skin in crispy, dry and brown. At first blush they don’t look very fresh or appetizing!! I really wasn’t sure how to eat them so I asked my son, who was introduced to Tamarinds by a friend. He showed me that when you press on the skin it cracks and flakes away (giving the impression of something way past its freshness date! But don’t be discouraged…). Once the skin is discarded and a few fine strings of pith are removed, the flesh is dark brown, a bit sticky and glossy. Each fruit is about 5-6 bites, and has about 8 or so 3mm pits that are easily removed. The flavour and texture is somewhere in the date, prune or dried fig arena. I really enjoyed the flavour and found most of the fruit to be consistently sweet and tasty. I found that eating 1 or 2 fruits really satisfied my sweet tooth in a way that didn’t leave me craving more (something I often experience when eating refined sugary treats). Below is a favourite recipe that incorporates Tamarind pulp/paste. Boiling down the fresh Tamarind fruit and removing the seeds works well unless you have the prepared pulp in your pantry. I hope you enjoy!! This is an adaption of an Indonesian dish. The original calls for long cooking of the beans, but we tend to lean more towards brevity in the cooking process. That said, green beans are one of those vegetables that need to be cooked long enough to develop their natural sweetness. Always look for slender, smallish, tender beans as opposed to the large ones, which are inevitably tough and woody. Sauté over medium heat until the vegetables are softened. Steam until they are crisp-tender, approximately 4-5 minutes. When hot, add the beans and ½ cup (125ml) of the sauce. Stir-fry for 30 seconds and turn out onto 4 plates. Wash and trim (but don’t yet peel) beets, then place in a microwave-proof dish with 1 in. (2.5cm) of water, and cover. Cook on high for 10-12 minutes, turning beets halfway through; let cool. Meanwhile, for dressing, combine vinegar, orange juice, and peel, garlic and dijon mustard. Whisk in olive oil, and season with pepper. When beets are cool, peel and slice. Combine with parsley, prunes and chickpeas. 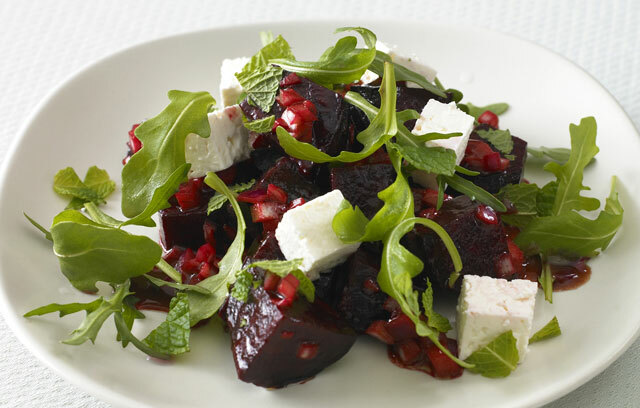 Drizzle beet salad with dressing and serve over baby spinach, if desired. Top with feta. If you have been contemplating taking up meditation here are some great reasons to start. Keep it simple and just start with 5 minutes a day and before you know it you will have created a meditation habit. Find a quiet space to sit and set your egg timer for 5 minutes. You can focus on a positive word(mantra) or your breath to start and if your mind wanders and it will just keep coming back to your word or breath. You could also check out Lorrie’s Meditation class on Friday’s mornings at 9:45. This is a donation class for the food bank. Click here to read more about the reasons why we should start or continue to meditate. Reserve ¼ cup (60 mL) shredded coconut in a shallow dish for rolling. Place remaining ingredients in a high-powered food processor and process until fully combined. 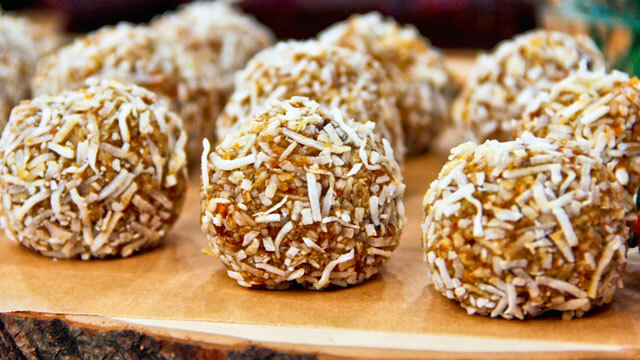 Form mixture into 1-inch (2.5cm) balls and roll in reserved shredded coconut, coating balls completely. Transfer to a baking sheet and refrigerate for a few hours or overnight. Keep chilled, or freeze in an airtight container (no longer than a few months). Enjoy 1 or 2 as a snack or dessert.